The intention of the Parliament is not to keep a constituency remaining unrepresented, the bench said. The Supreme Court upheld a Bombay High Court order dismissing a voter’s plea not to hold elections in a constituency, the representative Member of Parliament of which resigned in December, last year. 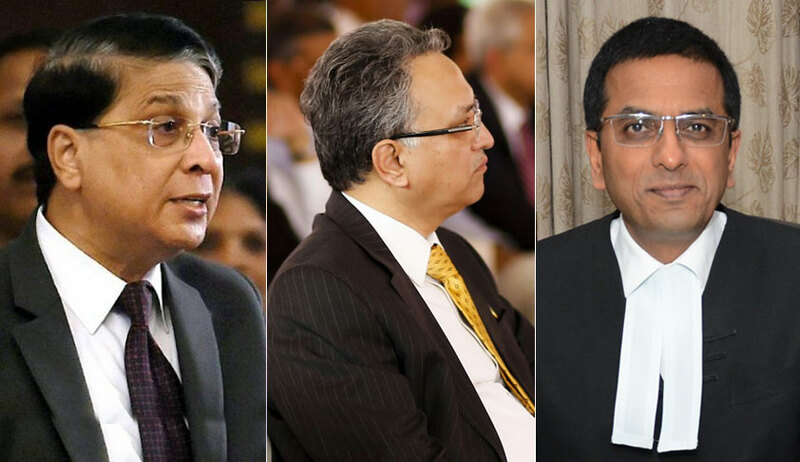 The bench comprising of Chief Justice of India Dipak Misra, Justice AM Khanwilkar and Justice DY Chandrachud observed that concern about the load on the exchequer cannot be treated as a ground for not holding the elections when the remainder of the term is not less than one year. "The holding of election is controlled by a rider, namely, that the remainder of the term of a member in relation to a vacancy is less than one year. It is further postulated therein that if the Election Commission in consultation with the Central Government certifies that it is difficult to hold the bye-election within the said period, the principal part of the provision contained in Section 151A would not apply. In the present case, we are not concerned with the second postulate, for what has emerged for consideration singularly pertains to the concept of period". Pramod Laxman Gudadhe had approached the high court contending that object of Section 151-A of the Representation of the People Act, 1951 is only to see that when such period is short, the elections are not unnecessarily held. It was argued that, if the election is held in May, next general election is due sometime in June 2019, hence, new Member of Parliament gets a tenure of about one year. The court observed that the newly elected representative would get more than a year and dismissed this contention. The high court had also rejected the submission that for June 2019 elections, Code of Conduct may come in force again since March 2019 and therefore, Member of Parliament now to be elected will get effective tenure only up to March, 2019. “We find no substance and logic in this argument. Elected Member of Parliament can work till last day of his tenure in the interest of his constituency,” the high court had observed. The voter challenged the high court order and the bench headed by the Chief Justice of India Dipak Misra upheld the high court order. The bench said command of Section 151A is to hold the election within a period of six months from the date of occurrence of the vacancy and in the present case, the remainder of the term is not less than one year. Whether the election is to be held or not would be governed by clause (b) to the proviso to Section 151A and we are not concerned with the same, the bench said. The said clause postulates that, if the Election Commission in consultation with the Central Government certifies that it is difficult to hold the bye-election within the said period, the principal part of the provision contained in Section 151A would not apply. The court also observed that the matter would be different when an election dispute is pending against the candidate that comes within the ambit and sweep of Section 84 or Section 98(c) or Section 101(b) of the Act.